September 2016: The S C Patil Higher Primary School, part of the renowned KLE Society and located in Ankali (Belagavi, Karnataka), recently won the Taluk Level Under-14 Cricket Tournament. 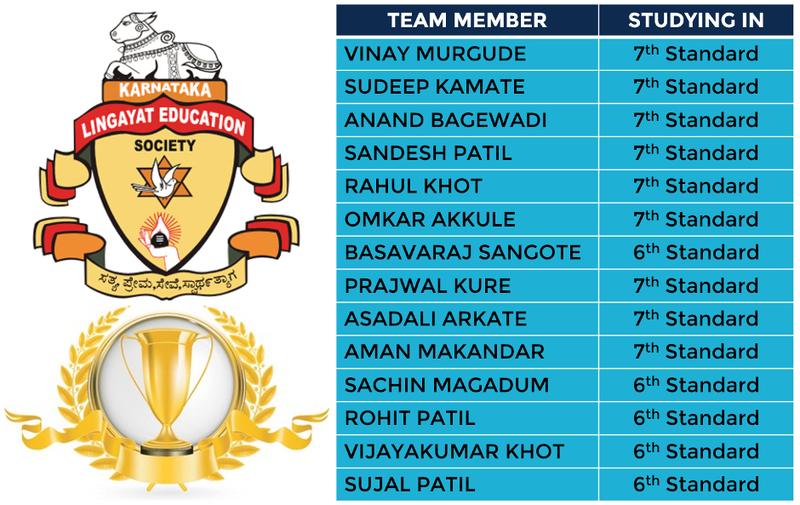 What is more, 14 students from the team were selected to represent the Taluk at the District Level Tournament later this month! Congratulations to the school, the team and their indefatigable coach, Vrushab Sabannavar! Learn more about our structured Grassroot Sports development offerings for schools, academies and clubs.